The amazingly innovative theatrical project http://www.interteatro.com/ has been a hit! 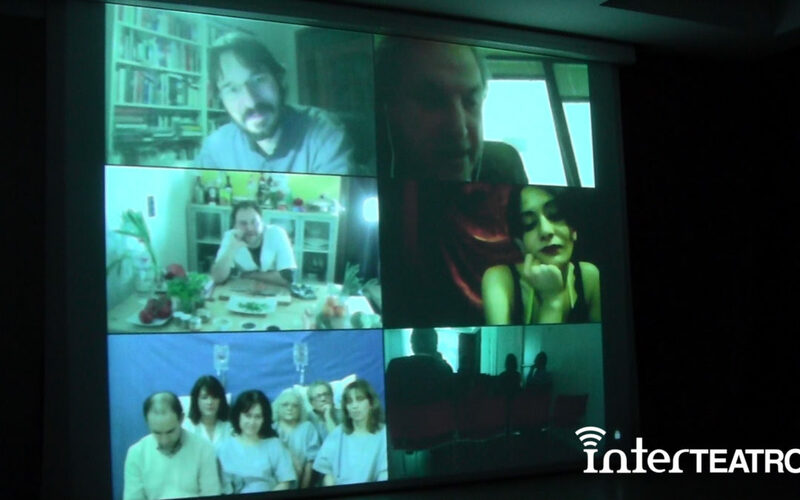 – A live, online broadcast of actors who are performing in another city. – A live performance on stage. InterTeatro is a project comprised of 46 people. We would like to highlight the job of film director Alex Rios who works alongside Beatriz Cabur researching and experimenting multiple new combinations of media in order to create ground-breaking shows. The first edition of InterTeatro was performed on February 21st, February 28th and March 7th at the theatre of the Cervantes Institute in Milan and it was a great success, the audience that came to the first shows on February 28th were back the other two days of performances and they loved the whole series!